Restarting the stalled investment cycle, repairing fiscal health and reforming the supply side of the economy are the main challenges. Addressing all three will be a daunting task, but new Finance Minister Arun Jaitley can pull it off with a mix of honesty and creativity. 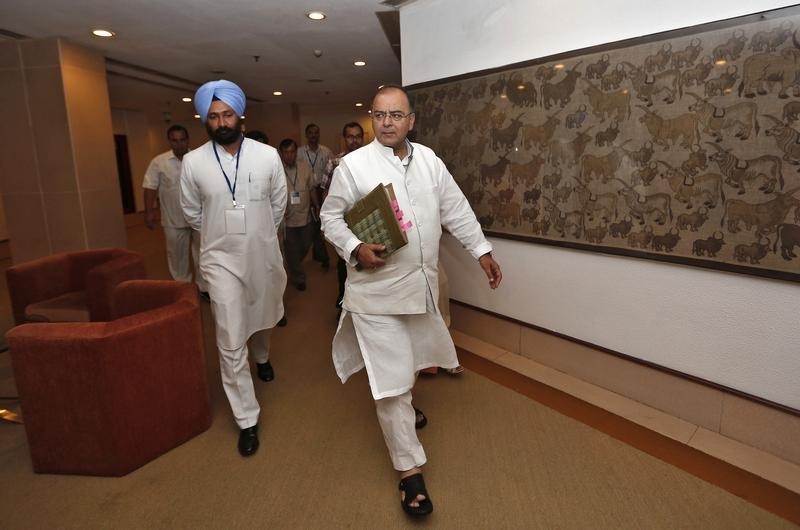 India's Finance and Defence Minister Arun Jaitley (C) arrives to attend a meeting with the finance ministers of Indian states on the Goods and Services Tax (GST) issues in New Delhi July 3, 2014. India’s new government will seek to raise up to a record 700 billion rupees ($11.7 billion) in asset sales in its maiden budget this week to reduce the budget deficit, a senior government source told Reuters. The target will almost equal the actual proceeds from selling government stakes in state-run companies over the past four years. Finance Minister Arun Jaitley will present the annual budget on July 10.